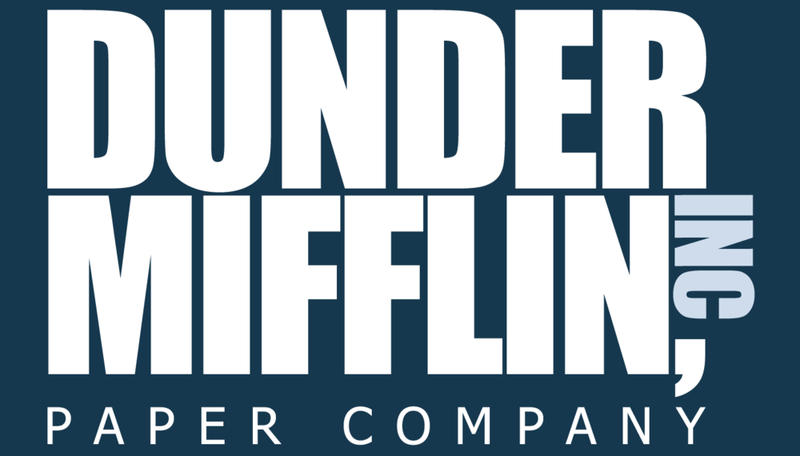 Dunder Mifflin is the fictional company that the cast of The Office works for. In the show, it's a mid-range paper supply company located in the northeast United States. In The Office, Dunder Mifflin is struggling to compete with the bigger box chains like Staples and Office Depot. Throughout the show, employees of DM quote their customer service as their main selling point, but the staunchly corporate feel of their logo (the only DM branding we see in the show aside from an outdated website) doesn't reflect that. For every branding project, I start with my branding questionnaire (which you can download from my Resource Library). It has five basic questions to give me an idea of what should be communicated in the final design. Why Does What Is Being Offered Matter To Them? Based on the branding questionnaire, I knew I needed to create a brand that balanced friendliness and professionalism. On top of that, it was important to create something that didn't feel too expensive; that would be sure to drive off the small businesses that made up the bulk of Dunder Mifflin's clientele. I knew from the start I wanted to use a blue as the foundational color of the brand because it's a calming color and contrasts with the aggressive red in the competitor logos. For the first logo, I chose to pair a minimal icon with a friendly, rounded san serif. The second concept is the closest to the original logo; just updated with a more cheerful blue and a more modern font. A monogram is the traditional answer for a logo consisting of two names. I also experimented with a more serious color palette. I selected concept #1 to use as the final logo, with some slight adjustments to the icon. For me, it was the most friendly of the three options, which is what Dunder Mifflin prides itself on. It also had a nice air of professionalism without feeling too stuffy or high-end. I took the rounded san serif of the logo and created three header styles that allowed for easily skimmed information and introduced hints pops of color to the layout. I supplemented the rounded san serif headers with a similar font that was easier to read at small sizes for the body copy. For the color palette, I kept an almost monochrome palette with two blues to keep it simple and friendly without becoming too colorful and casual. A simple color palette with a bright color as the main hue is common for budget-friendly companies and won't scare off businesses with small budgets. To ensure the brand didn't become too plain or flat, I designed some simple icons to use for both print and web to add some visual interest to the brand without losing the friendly, affordable feeling I had built. I'll be a great artist and steal from ten famous paintings.